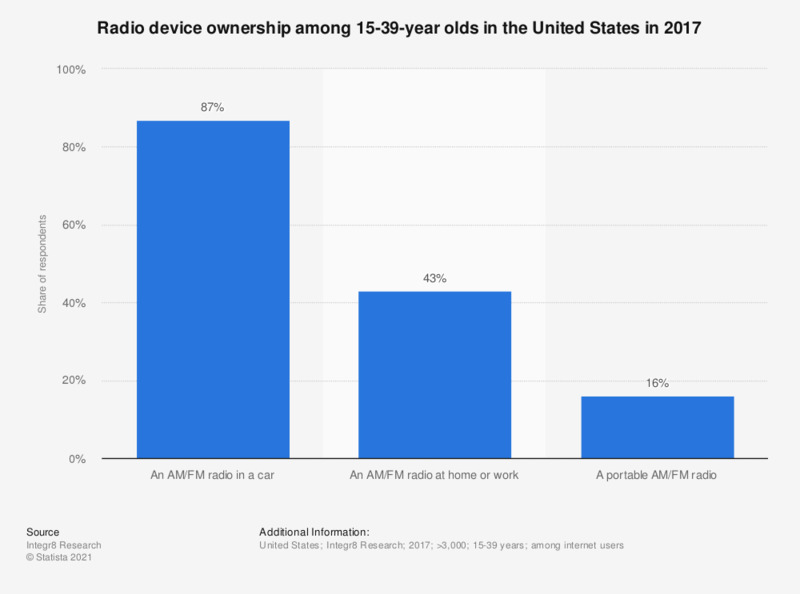 The graph shows the radio device ownership among 15-39-year olds in the United States in 2017. During the survey, 16 percent of respondents stated that they owned a portable AM/FM radio. What do you think about the FM-network being replaced by DAB?